The U.S. auto industry has struck a brick wall. Can it get back on the road to recovery? 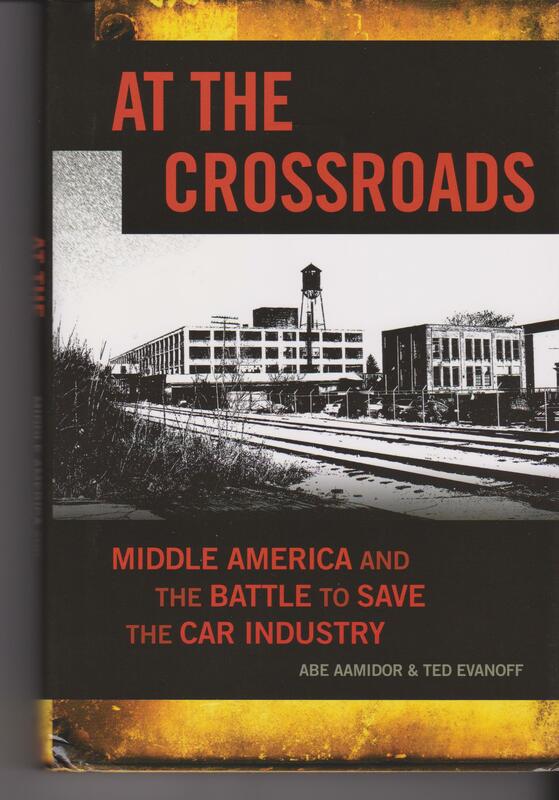 At the Crossroads: Middle America and the Battle to Save the Car Industry argues that the Obama administration missed an historic opportunity in 2009 to launch a Manhattan Project style effort to save not only Detroit, but the entire manufacturing base in Middle America. Abe Aamidor and Ted Evanoff explain how Washington s intervention fell short and how it is holding back American economic recovery. The authors take a thoughtful look at the root causes behind the auto industry s crash, including disastrous labor contracts such as the 1950s Treaty of Detroit, which set the stage for crushing legacy costs; Wall Street’s predatory financial practices ushered in under the Reagan administration; and a largely unregulated free trade regime that undermined the competitiveness of American manufacturing. The Christian Science Monitor favorably reviewed At the Crossroads here.